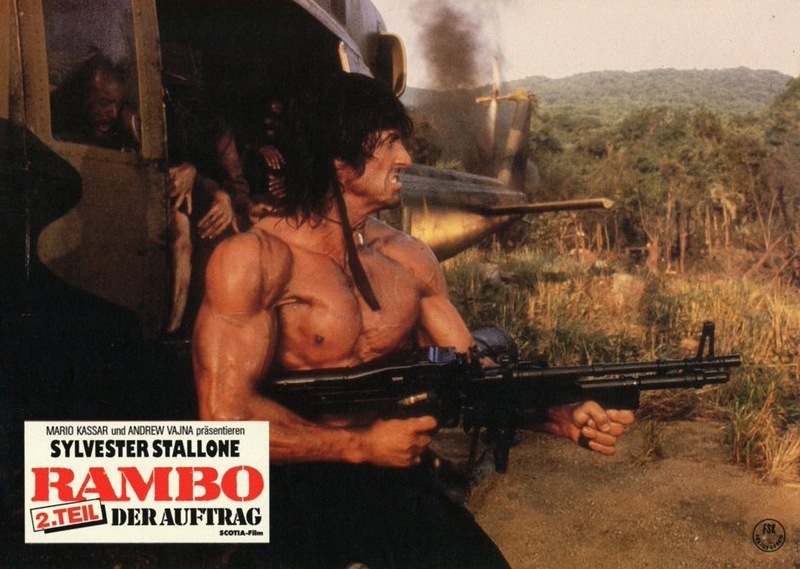 Rambo: First Blood Part II was released in 1985, which ended up being a huge year for Sylvester Stallone. First Blood was Sly’s first big hit that wasn’t part of the Rocky series and pulled in 47-million, which was a lot back in 1982. First Blood Part II would pull in an amazing 150-million and also in 1985 Rocky IV was released, which became the highest grossing of the series (and still is) and pulled in 127-million and it seemed like everybody in America were seeing these films and if I add in worldwide numbers both these films are over 300-million and for 1985 that’s just an amazing box office return. 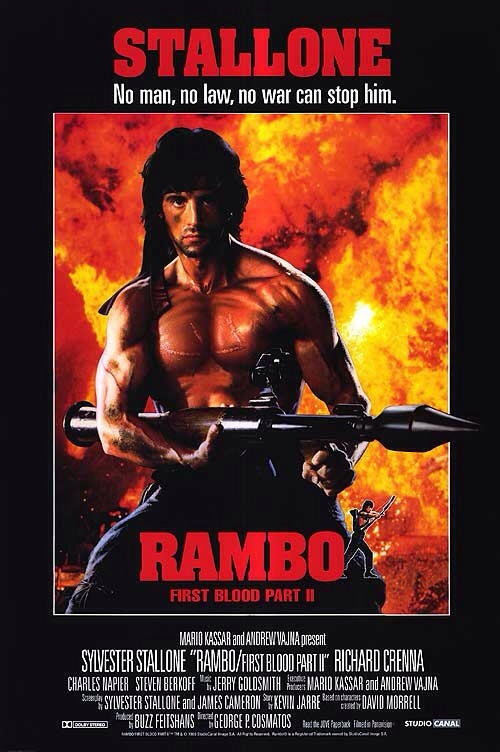 A lot of people forget the original film was called First Blood since most just refer to the series as the Rambo movies, but First Blood was a first rate action/thriller and it’s really nothing like the rest of the series. 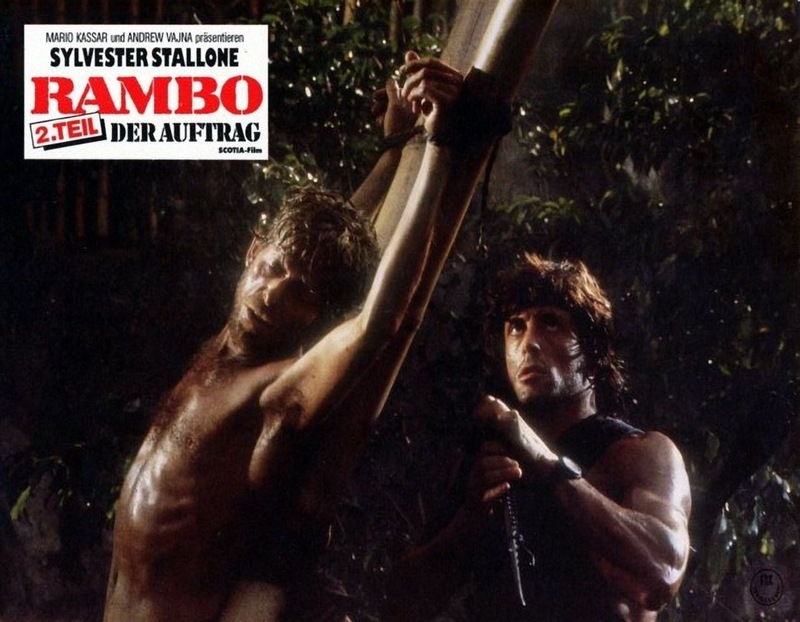 With Rambo: First Blood Part II the series became more of the standard action series (not that’s its a bad thing). Overall I’d say First Blood is the better film, but First Blood Part II is one of those crowd pleasing films and even I can’t help, but yell out to the screen while watching this. Some people have labeled this film propaganda and regardless films of this nature were fairly popular in the 80s and in 1984 Missing in Action was released and First Blood Part II would have a similar theme. However while I can see why some might label it propaganda, but the American characters aren’t all the heroes. 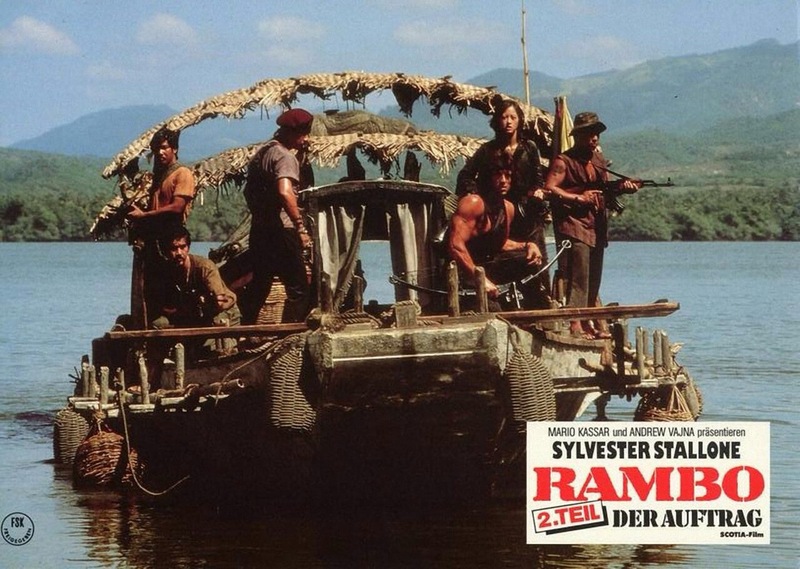 Rambo (Stallone) is sent back to Vietnam to find proof of American POWs. He’s only to take pictures and that’s it. The place Rambo is being sent to is empty and it’s just a way to show the public they looked and nobody was found however the place Rambo is sent that’s supposed to be empty actually has a few POWs. 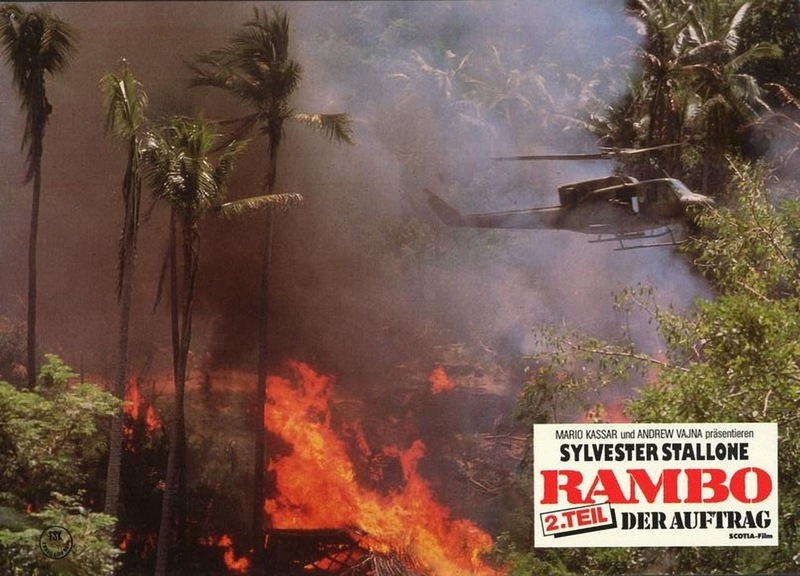 A brief fight breaks out and Rambo manages to rescue one POW and as they leave the helicopter is called back leaving Rambo to fend for himself. 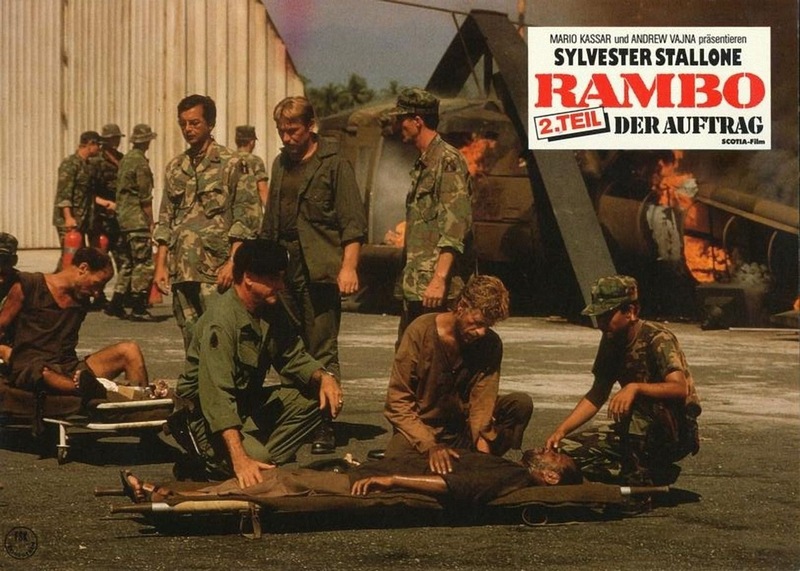 Rambo is captured, but manages to escape and sets off to take down the Viet and Russian army alone while rescuing the POWs and finally going after those that left him to die. 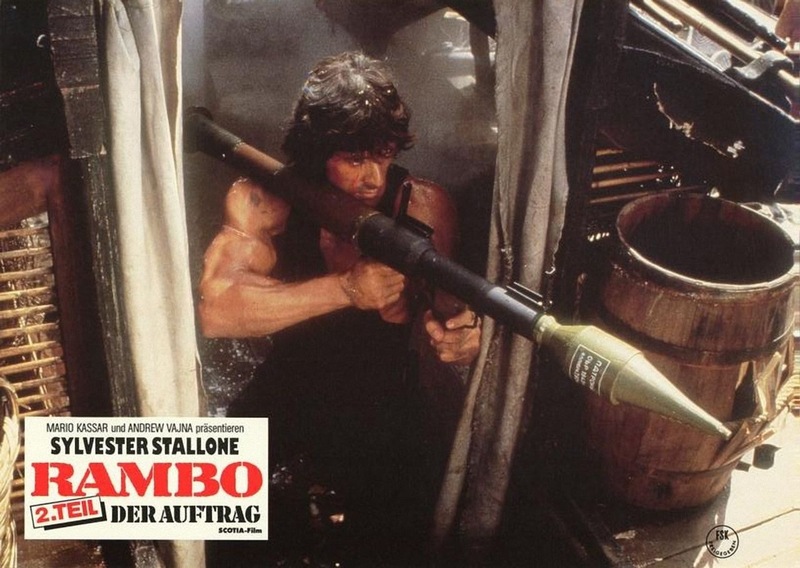 The screenplay was written by Sly Stallone and James Cameron and yes that James Cameron. Just the year before Cameron hit the big time for writing and directing Terminator and after the 2nd Rambo film his career would continue to take off. If you look at the credits for many Stallone films you’ll see he often writes or co-writes a good portion of his films. 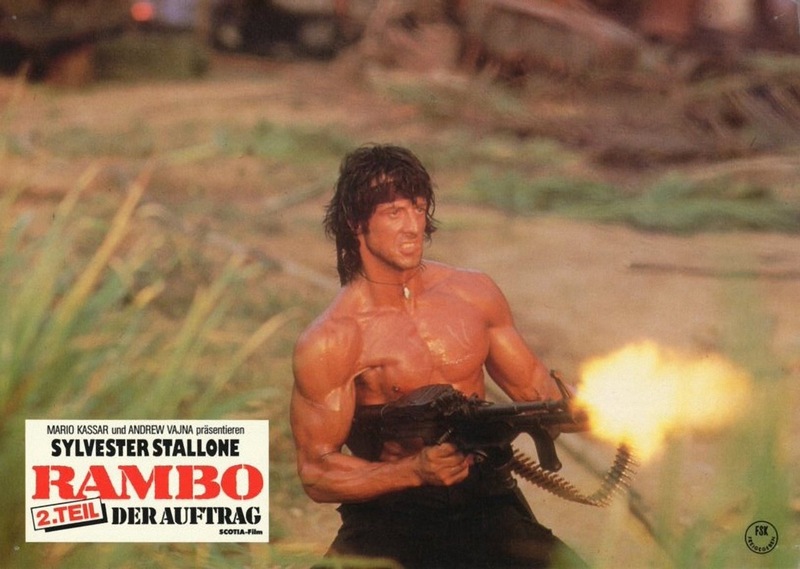 Apparently it was Cameron who wrote the bulk of the action scenes and Sly adding in the political aspect of the film. 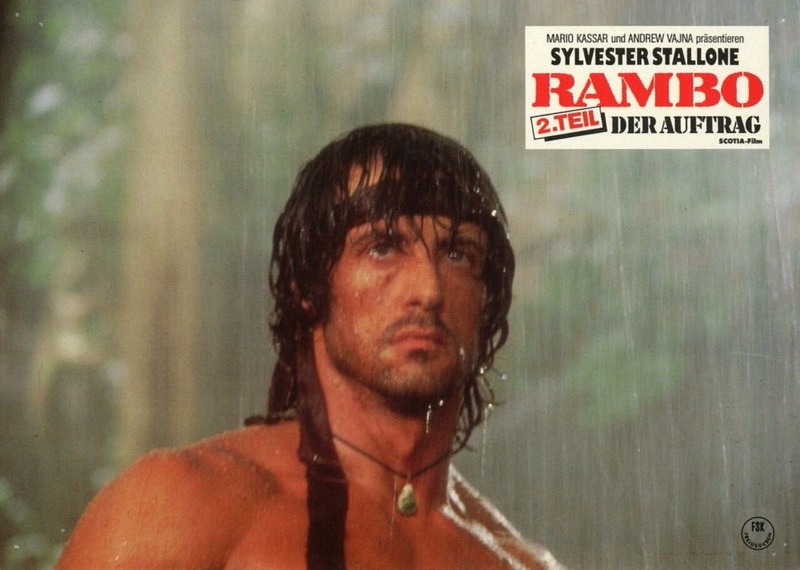 Rambo: First Blood Part II is actually fairly well written for this type of film. Stallone who was nominated for an Oscar for his screenplay for Rocky doesn’t quite reach that level here, but like the good portion of Sly’s work he knows what his audience wants and delivers. When you look at the career of both Stallone and James Cameron as far as screenwriting goes they both have written far better films, but regardless the screenplay is stronger than most would assume going into the film, but with that said its not a great screenplay, but simply a fun one. 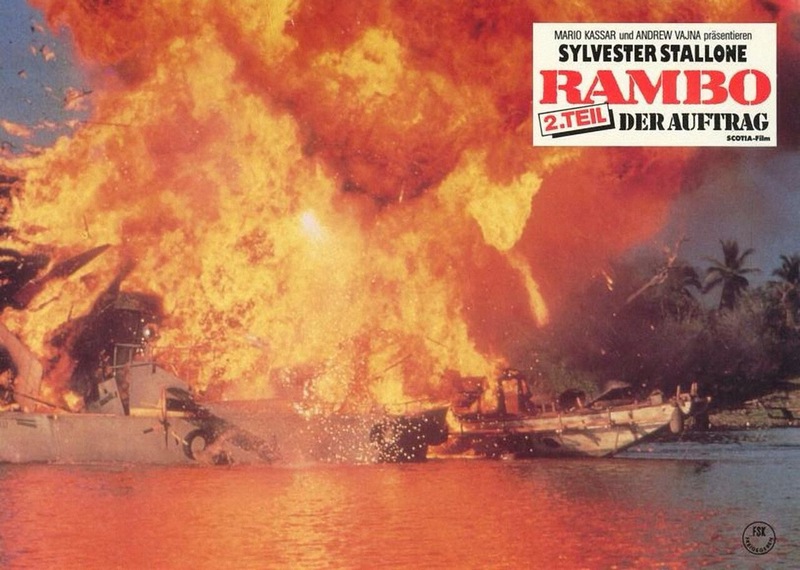 The villains have no depth and are the standard film bad guys that are simply there for Rambo to kill. It’s quite interesting though in seeing how vastly different this film was in terms of both writing and directing when compared to First Blood. 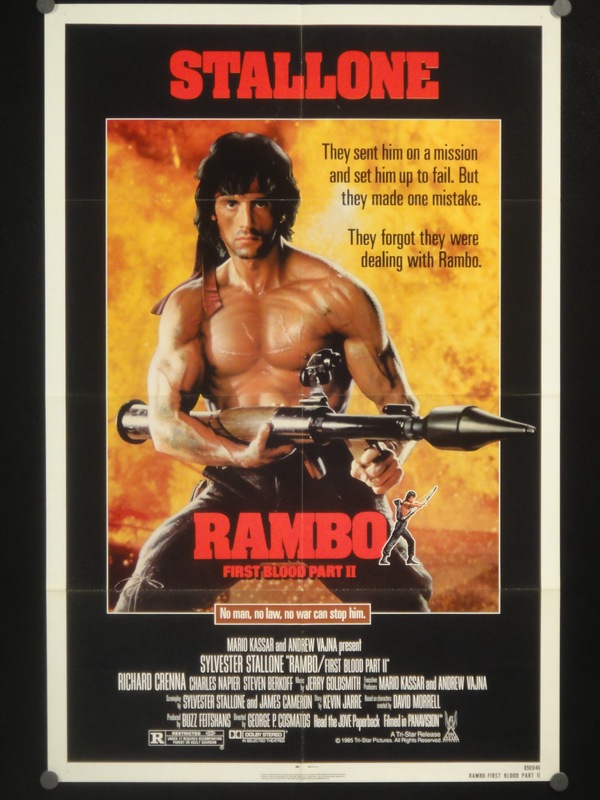 Stallone & Cameron pretty much turn Rambo into a superhero. 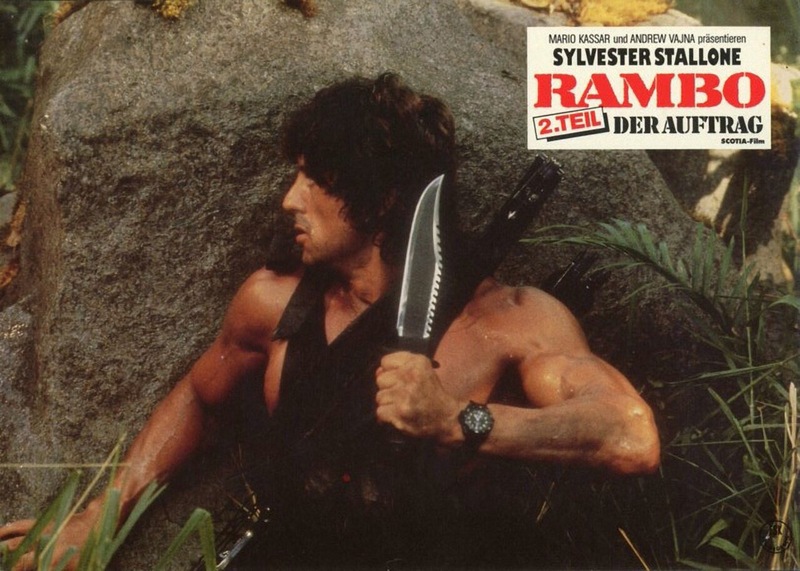 Seeing as Rambo is a highly trained special forces soldier the original may not be too far fetched. Can it really happen? 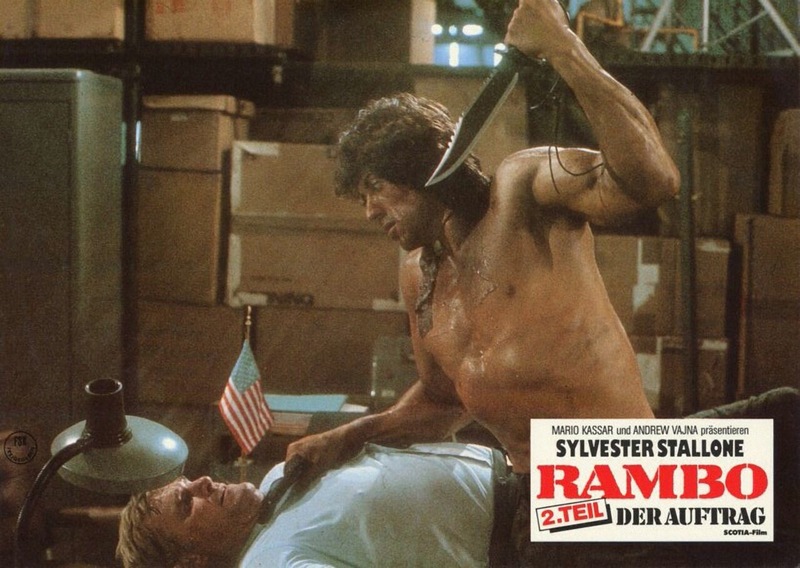 Maybe or maybe not, but Rambo is highly trained going against a local small town police department so maybe not overly possible, but not so far fetched its absurd either. 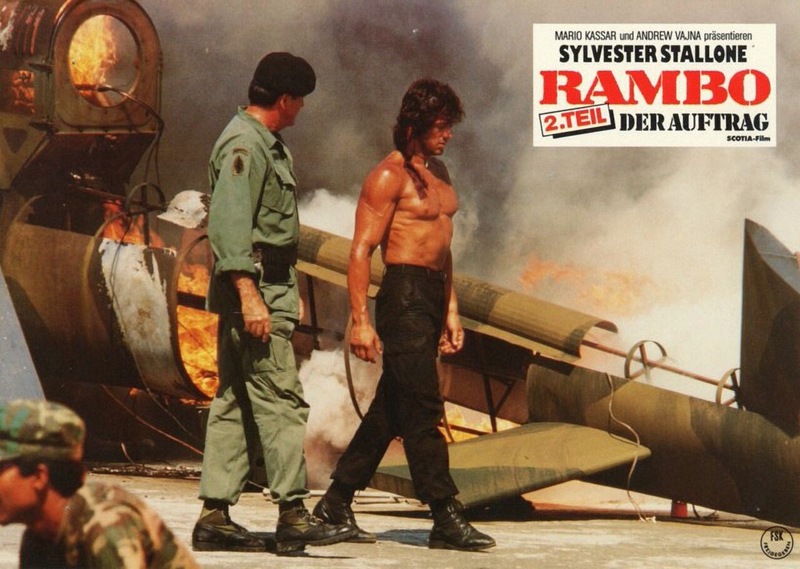 This time around Rambo is going up against the Vietnamese and Russian army and while he does have some assistance early in the film he pretty much goes at it solo and rather easily takes down his enemies. Rambo: First Blood Part II was directed by George P. Cosmatos known for such films as The Cassandra Crossing, Cobra and Tombstone. There are rumors despite the directing credit it was Kurt Russell who called the shots on Tombstone and apparently here it was Stallone who controlled the picture and Cosmatos more or less is just credited and following what was presented to him. I have no idea if these rumors are true and I wouldn’t be overly shocked if they were in particular with First Blood Part II. But since George P. Cosmatos is credited I’ll just assume he called the shots. The film gets off to a solid start with a slow, but steady pace and while not boring it’s not all that exciting either. However once we get to around the 30-minute mark the film is pretty much action packed for the final hour. Cosmatos delivers a really fun and exciting film with some great action scenes that will have the viewer sitting back and enjoying the ride. The tone of the film is far different than the original and actually bares very little resemblance to the original film as it feels like this is its own film and later turned into a Rambo movie. This film may not go down as of the all time great films, but it is an excellent and over the top action film and Cosmatos delivers not only one of my favorite 80s action films, but one of my all time favorites. 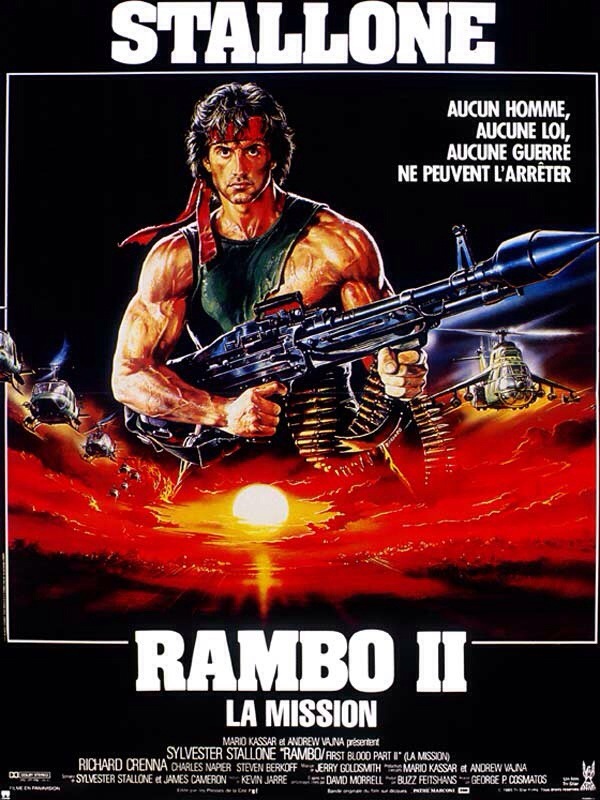 Loaded with a great hero in Rambo, Cosmatos stages some really awesome action scenes and if you like these kinda films you’ll find much to love about Rambo: First Blood Part II. 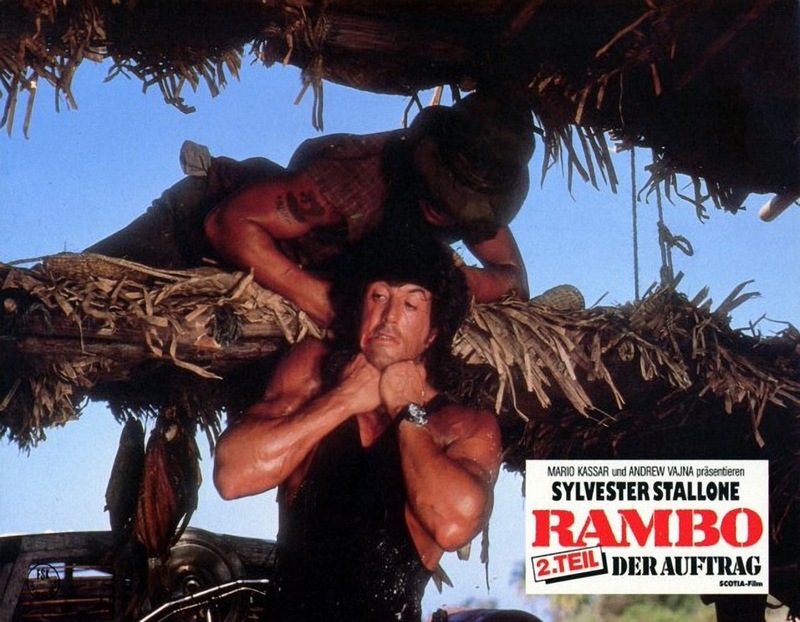 Rambo: First Blood Part II is just a really fun and entertaining film that’s easy to cheer on while watching it. 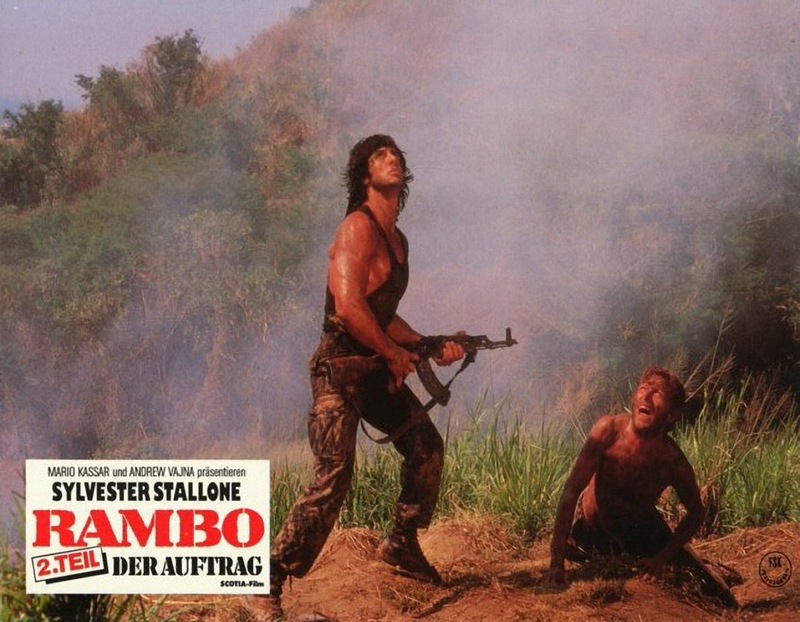 Stallone at least to me is the perfect action star and he doesn’t disappoint here. Like I said the original First Blood is a first rate action/thriller and his film is totally different in style and while the original is the better film as a whole this one is just so much fun and might just edge out the original due to that. Stallone is again excellent and Julia Nickson as Co is stunningly beautiful. 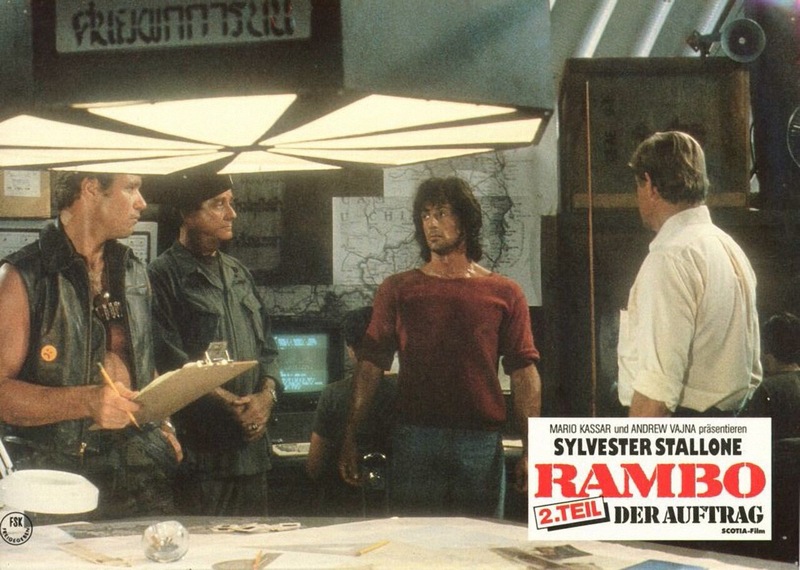 Richard Crenna is a joy to watch as Trautman and Charles Napier fun as Murdoch who turns on Rambo. This film has everything you could ask for in an action film and in my opinion its one of the action genres best efforts.